The face of digital storage is evolving quickly with faster, smaller devices boasting more storage capacity and sustainable designs made to last longer than ever. Even so, a hard drive is a mechanical device, entailing that the components within it physically move to operate, allowing for many areas that can break or fail. 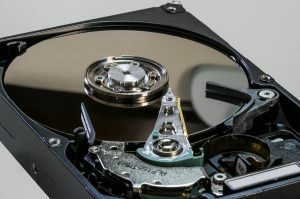 Common signs for a failing hard drive include sluggish performance, unusual noises (clicking or loud component sounds), and an increase number of corrupted files. These are textbook symptoms for the inevitably of a failing hard drive and action should be taken quickly to save your files from being lost. Individual lifespans of hard drives can vary greatly, yet they all share the inevitability of failing. 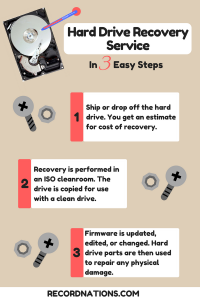 Hard drives contain moving parts in order to operate, and these moving parts are doomed to break, whether from normal usage or physical trauma. Even a laptop that is built for portability will wear down the hard drive at a slightly faster rate if used on-the-go as opposed to sitting stationary on a desktop. As reported by Extreme Tech, failure rates for hard drives are about 5.1% for the first year and a half, then dips down to 1.4% until the third year, then rises dramatically to 11.8% for the time after. This trend can most likely be explained by manufacturing faults for hard drives that fail in the first year, and normal wear and tear failures accounting for the increase after the third year. In essence, hard drives tend to last 4-8 years with moderate usage. This wide range is due to the fact that there are so many variables that can affect the health of your hard drive, including how much you use it, how well you take care of it, and a bit of sheer luck. While there are a million different factors that can cause these symptoms, simply coming across one of them should give reason for concern. In fact, if any of these symptoms persist after you re-install your system or while you’re in Windows Safe Mode, then it is almost certainly related to a hard drive on the brink of failure. If you continue to see these errors, or they increase in frequency, there’s a good chance you’re about to have a hard drive failure. Unusual noise emanating from your hard drive, including loud clicking or turning noises (especially when there are few processes being performed by your computer), is a cause for big concern. These unusual noises usually implicate a malfunctioning component in your hard drive which is a sure signal for a failed hard drive in the future. Listen and compare these sounds to any unusual noises that you may be experiencing from your computer. 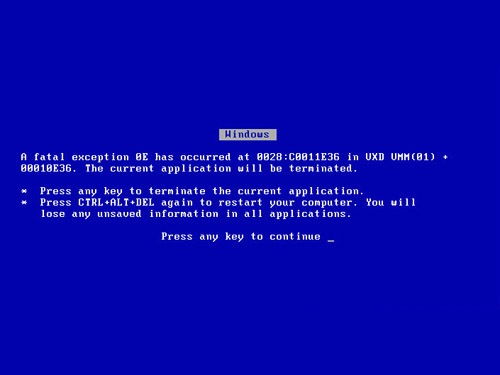 Despite all of these indicators, hard drive failure can still occur without warning. As a result, it is vital to create backups of important data on a second hard drive, a thumb drive, or an external hard drive. The only way to gain certainty is to save data on a variety of disks to keep it safe. Do not wait until the last minute when a software program sounds the alarm. Most people don’t realize the importance of backing up their data until its too late! We’re living the age of data and your reliance on information, whether personal or business, is huge! Don’t let a lost hard drive set you back and cost you with loss of finances of sentimental value. Cloud storage services can house your backup data on remote servers that are protected. 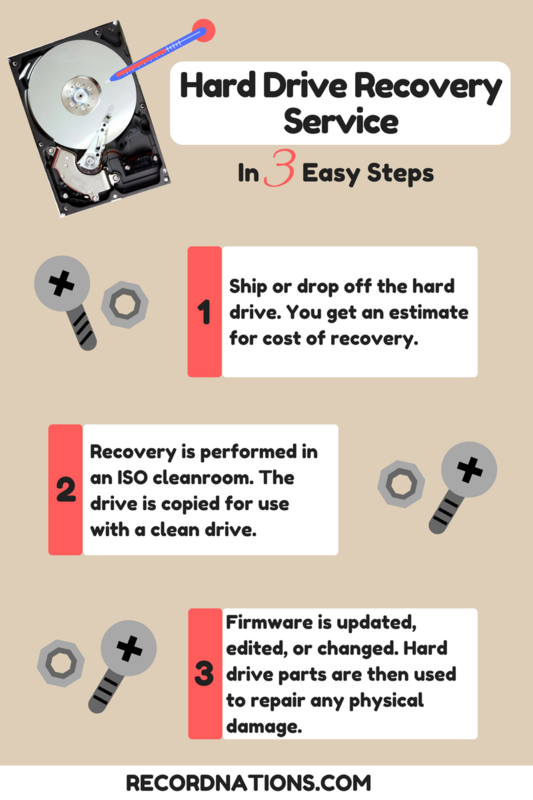 If you’ve fallen victim to a failed hard drive, hard drive recovery services are available to try their best to get back your precious files. To get free quotes or to learn more about any of our services, call Record Nations at (866) 385-3706 or fill out the form on the right. In just minutes, you’ll be contacted by one of our representatives with a solution to your data recovery needs.